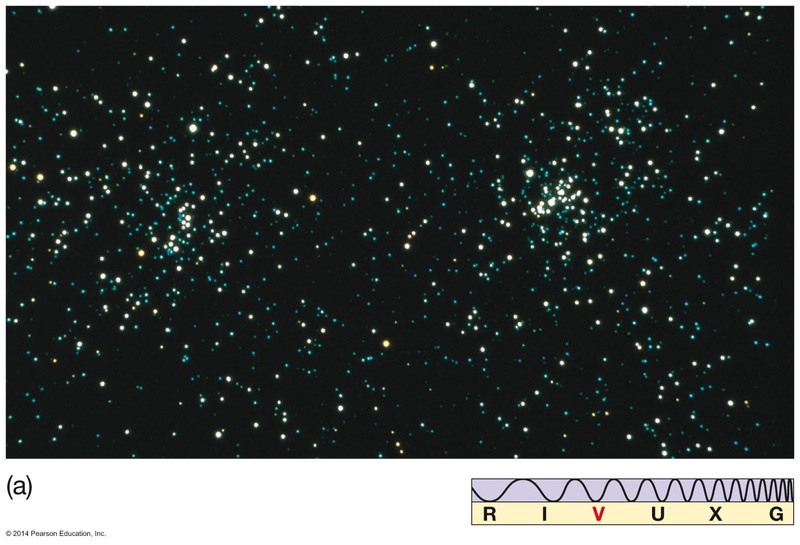 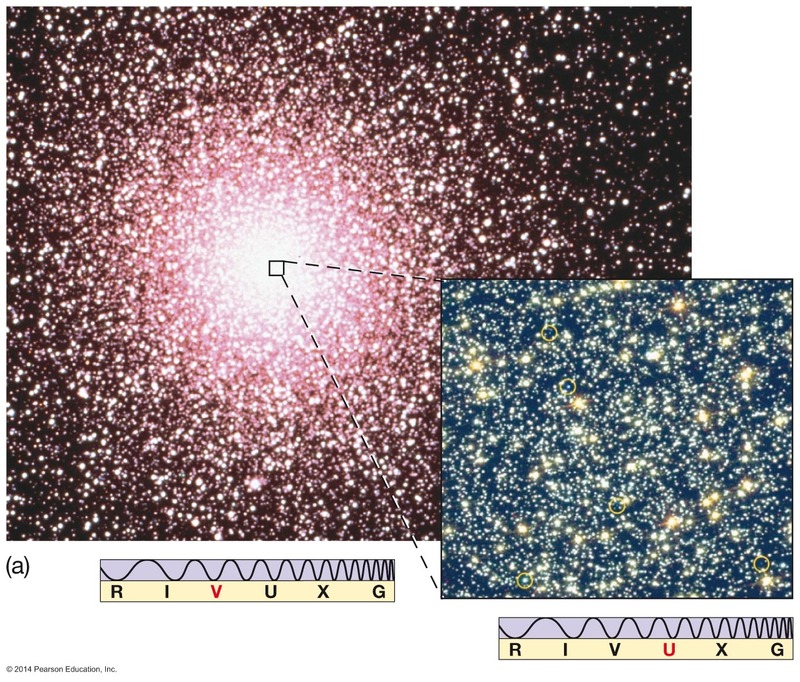 How do we explain the diversity of stars observed in the sky? 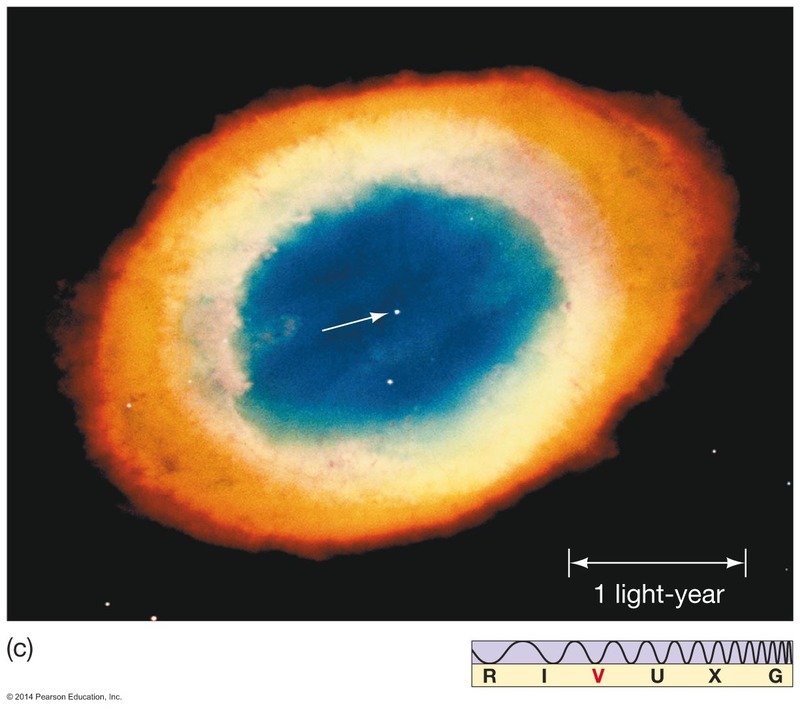 the star "burns" its core hydrogen fuel for 106 to 1013 years. 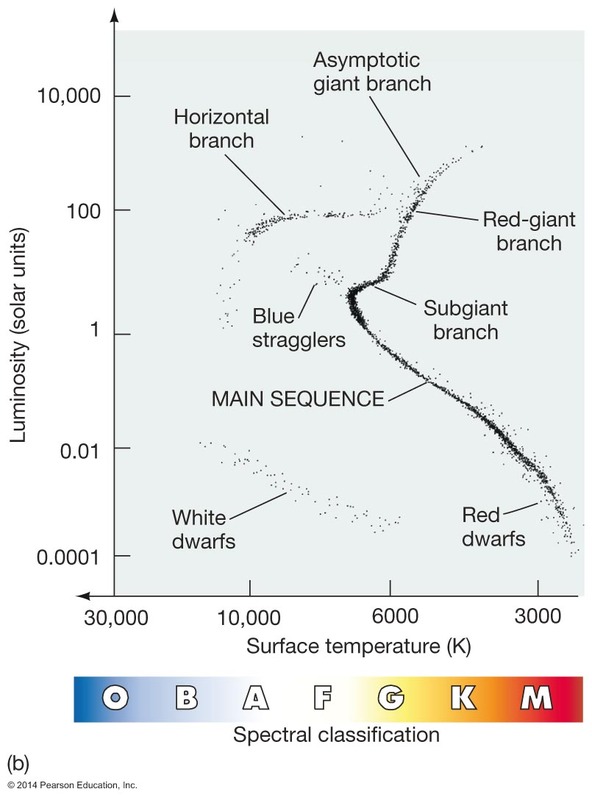 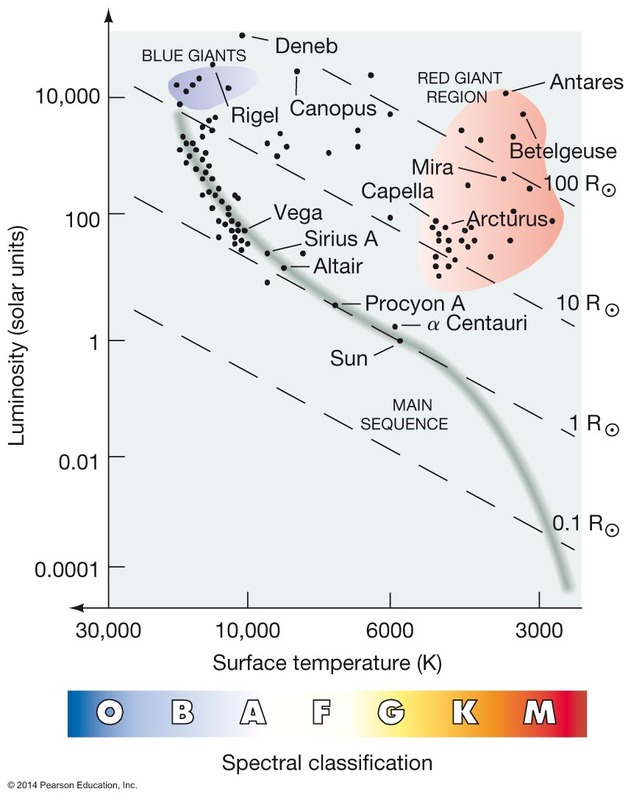 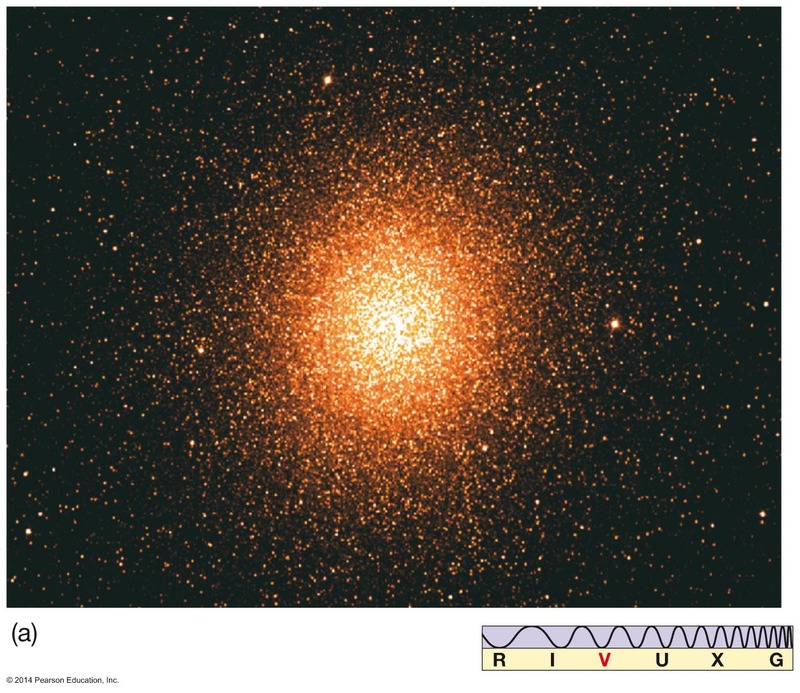 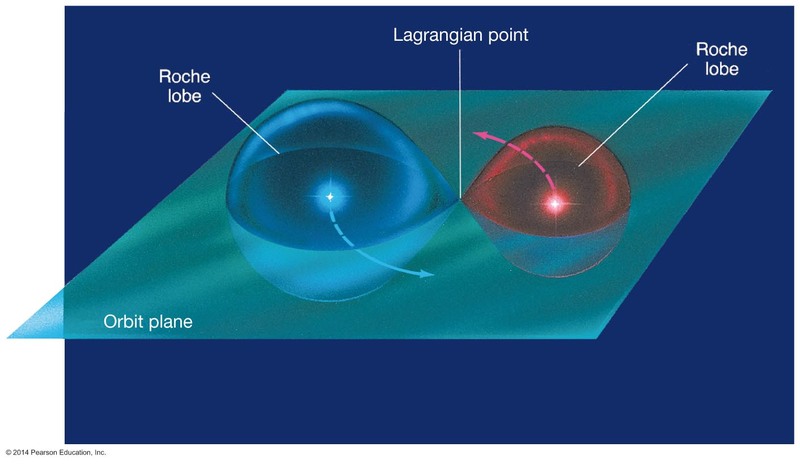 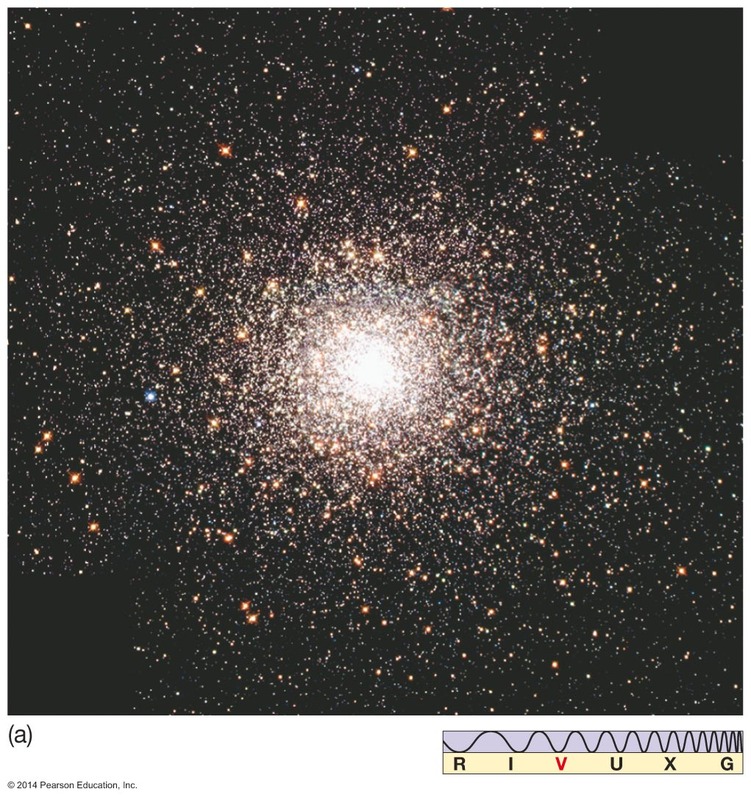 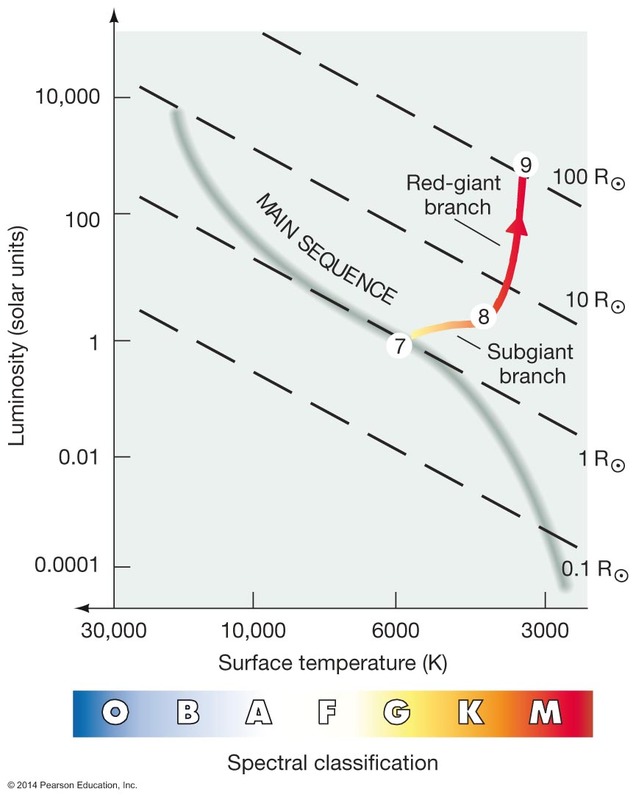 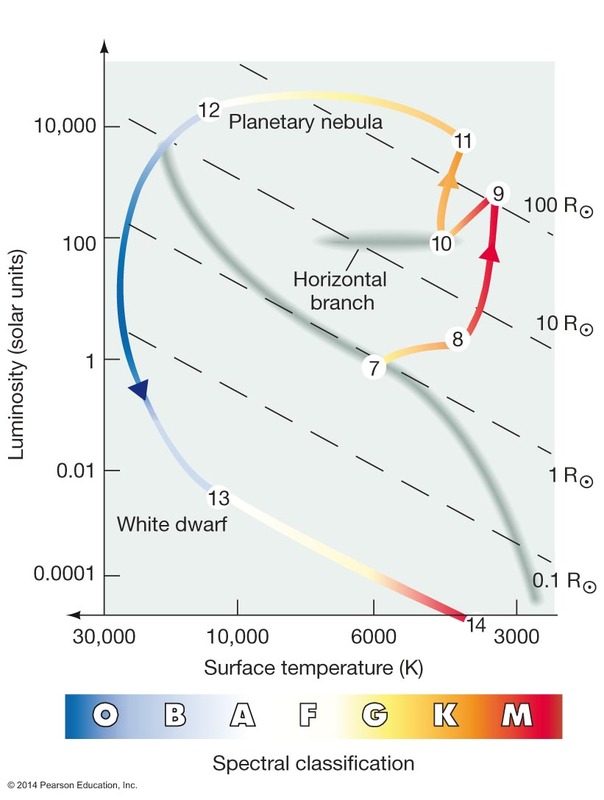 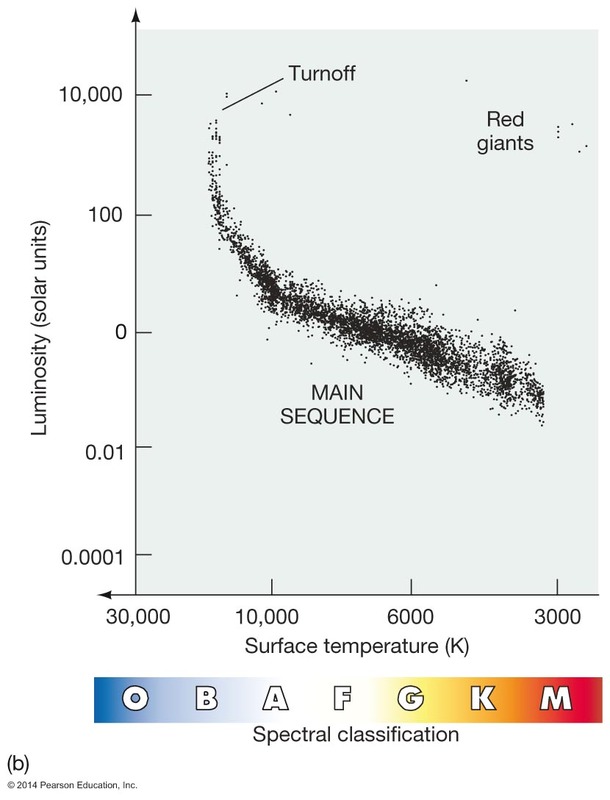 While main-sequence equilibrium is maintained between the inward force of gravity and the outward force of heat-generated pressure, the star stays on the main-sequence. 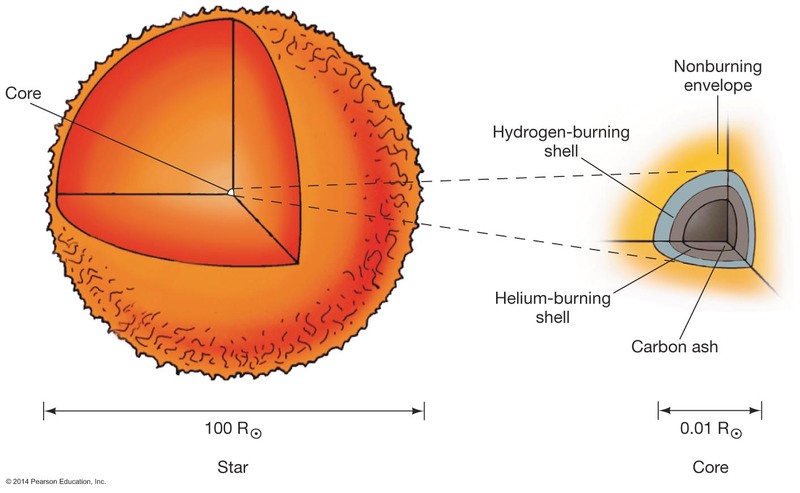 Eventually, the "burning" of hydrogen is completed, and the inner pressure no longer overcomes the force of gravity; this is the beginning of the eventual death of the star's main-sequence life. 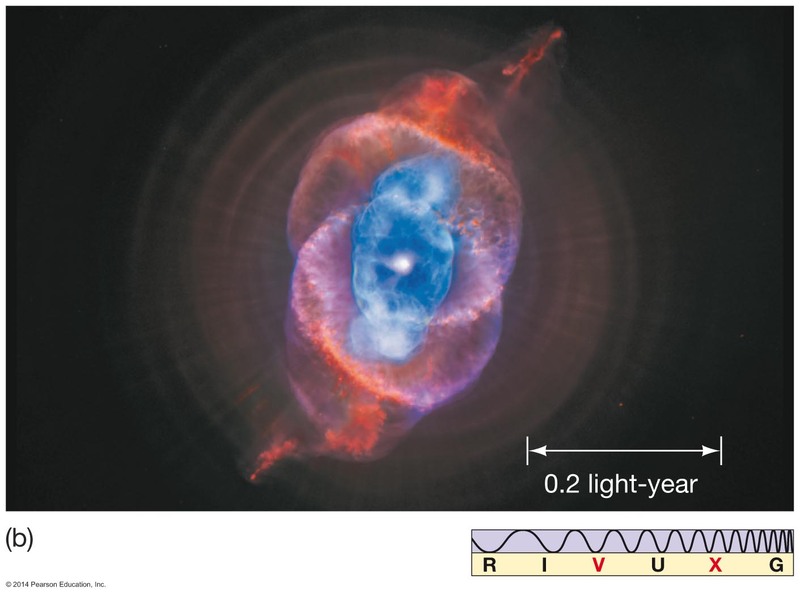 As the star ages, "burning" its hydrogen, the star moves just off the main sequence. 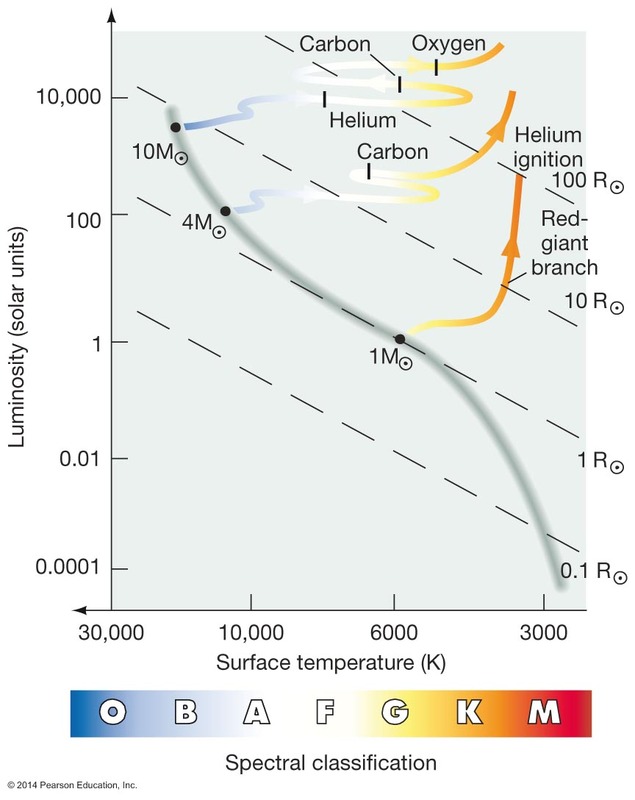 Thermal equilibrium (balance between energy production and surface emission) lasts while hydrogen is "burning" in the core. 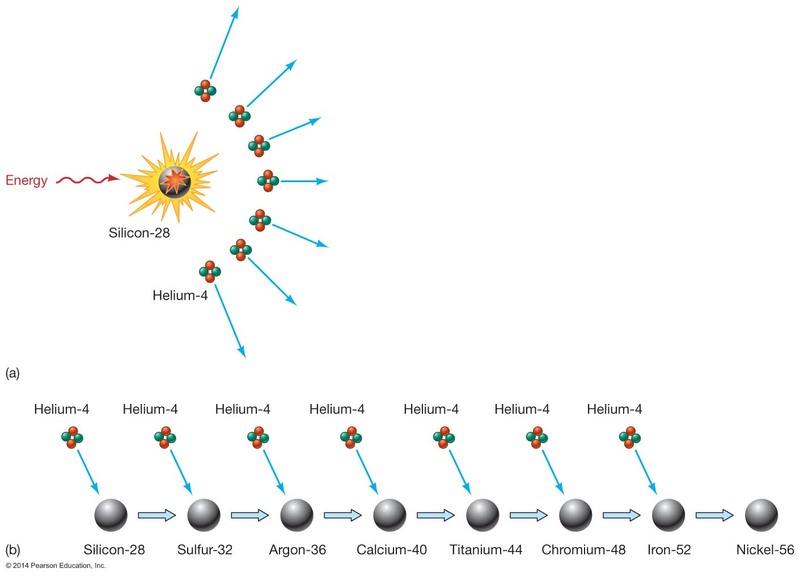 Core hydrogen is all fused into helium. 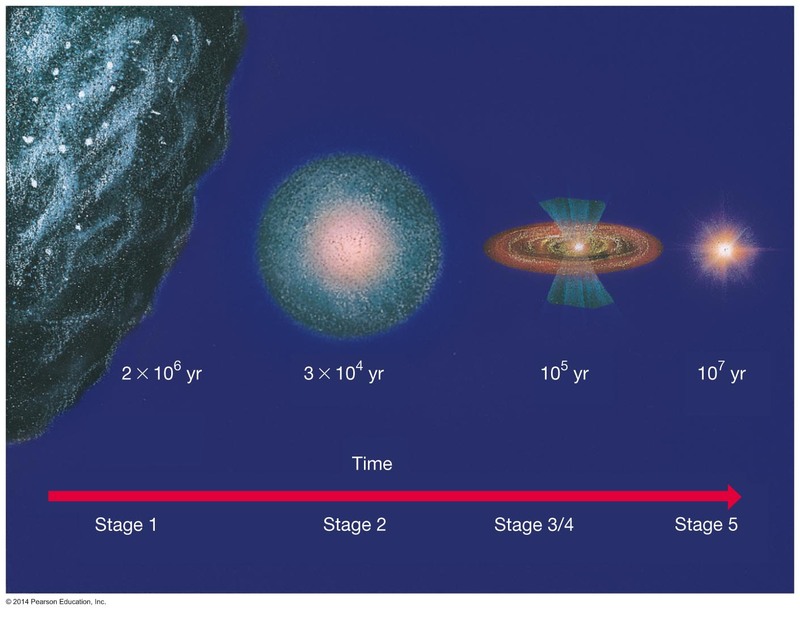 In 5 x 109 years (after burning for 10 x 10 9 years) the Sun will finish its core burning and begin expanding. 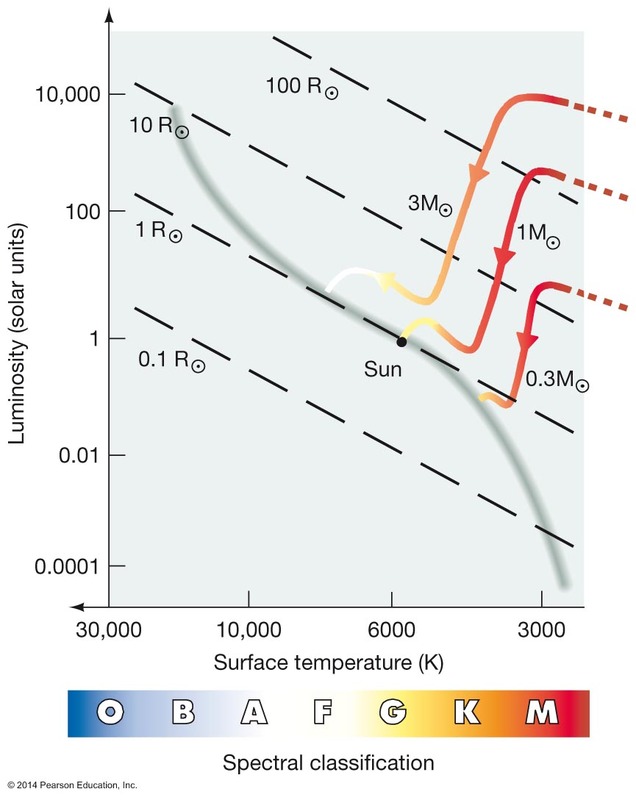 The Sun will be hotter at its core than now, but cooler on its surface. 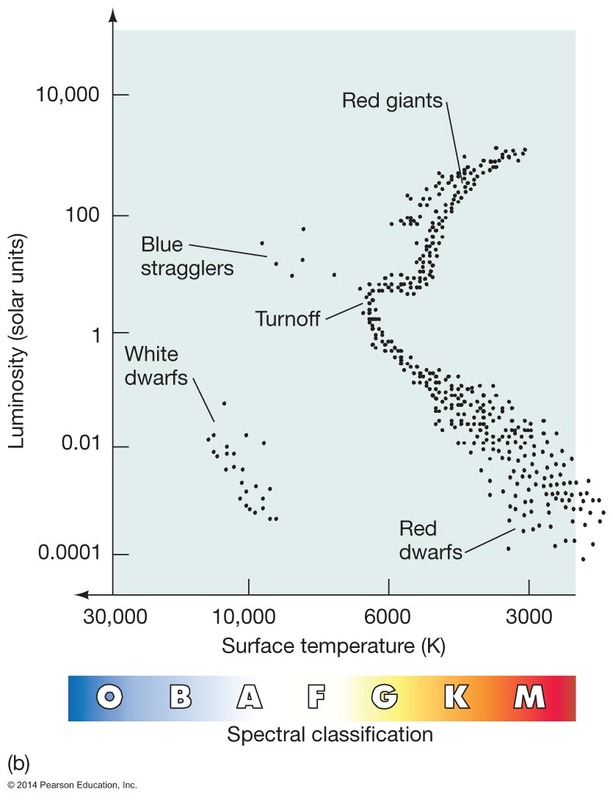 Despite cooler surface, due to its much larger surface area, it will be much brighter. 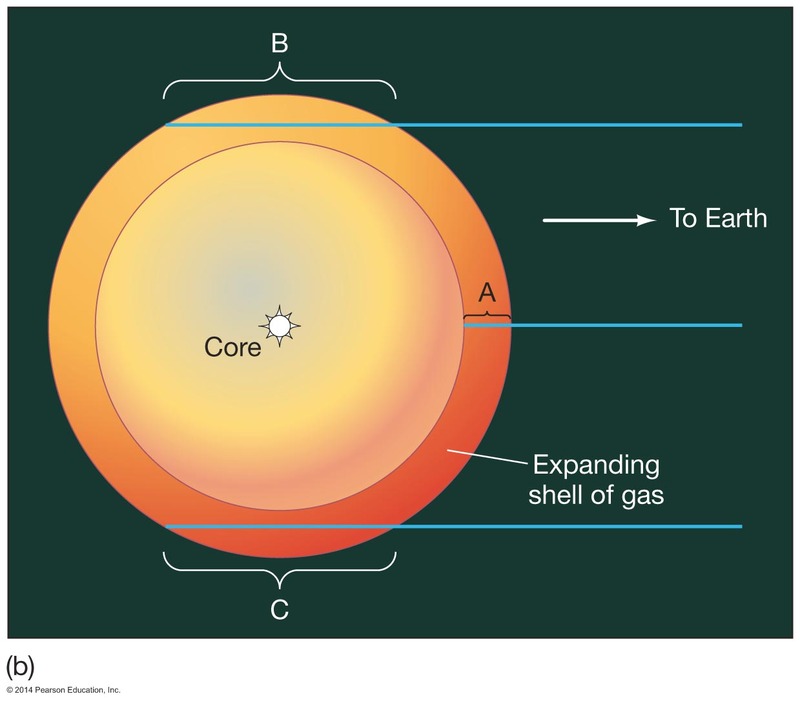 as Helium burning begins, heated core will not expand initially. 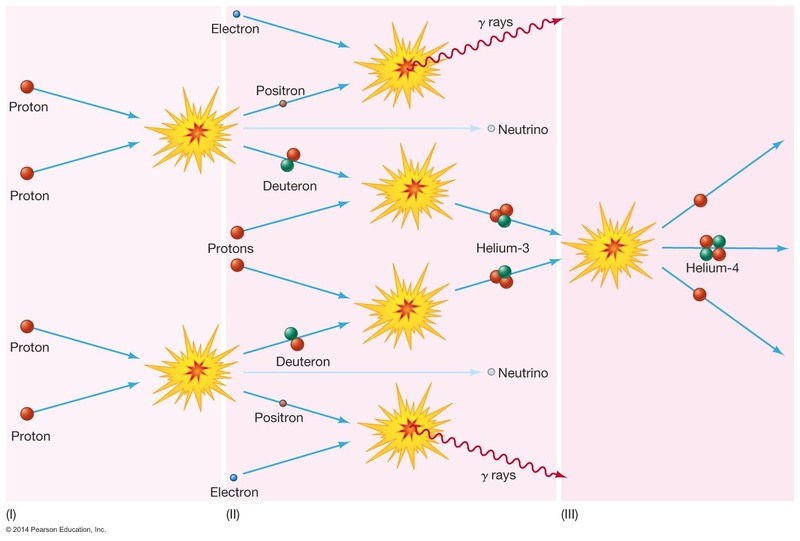 You can't have two things (electrons) in the same place at the same time. 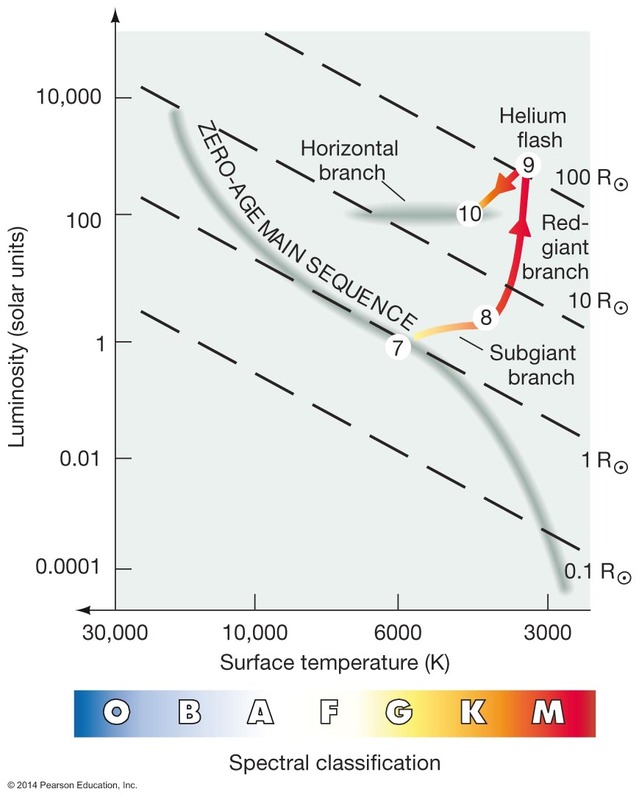 Now stable helium burning begins and star resides on the "Horizontal branch"
Can we observe this evolution in real stars? 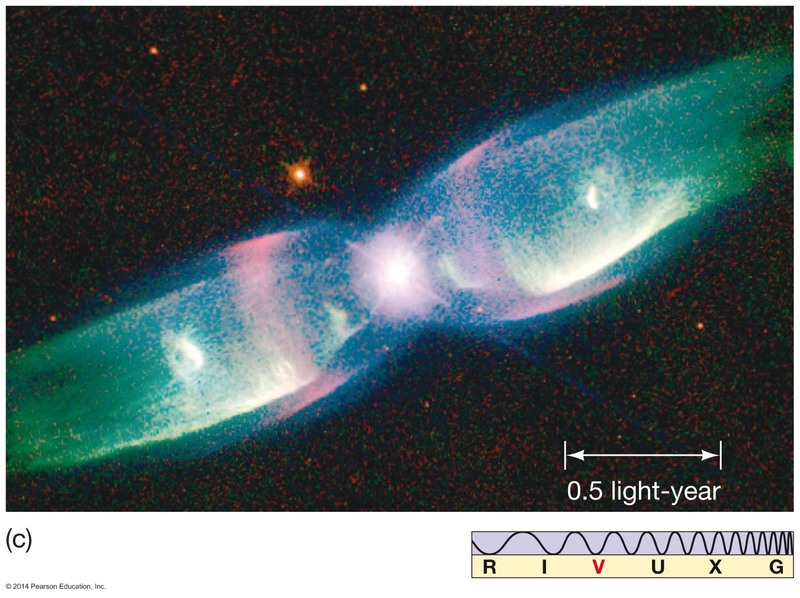 Dying low-mass star ejects its outer layers of gas. 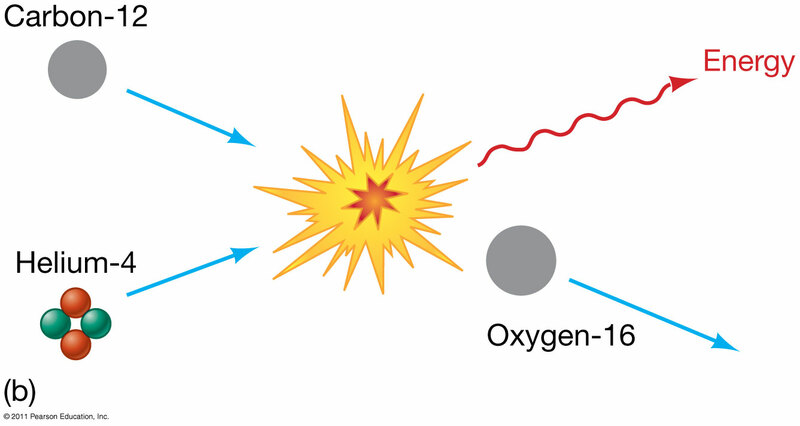 These gases are ionized by star and glow. 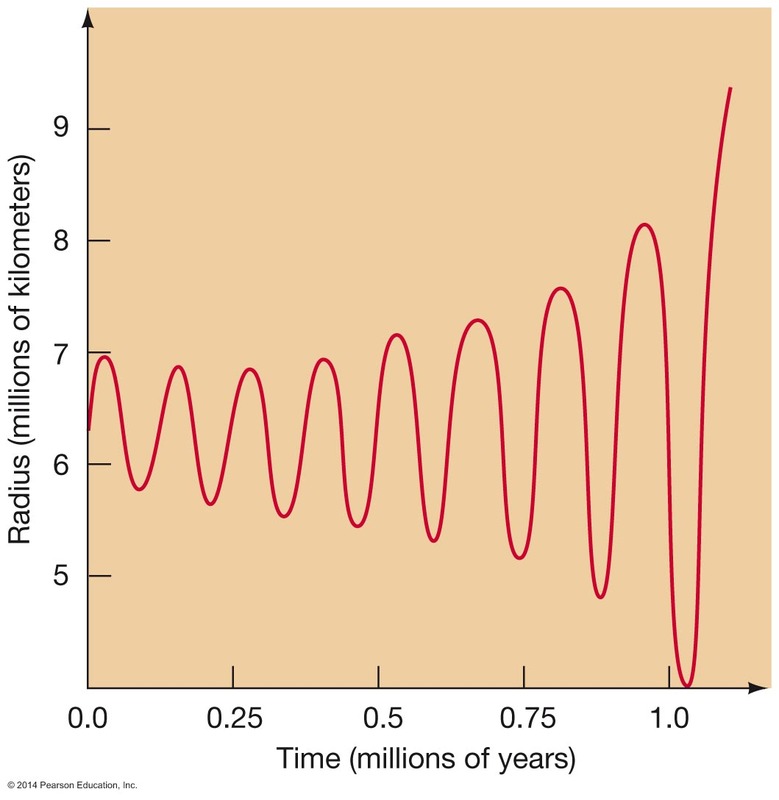 Expand for about 50,000 years before fading. 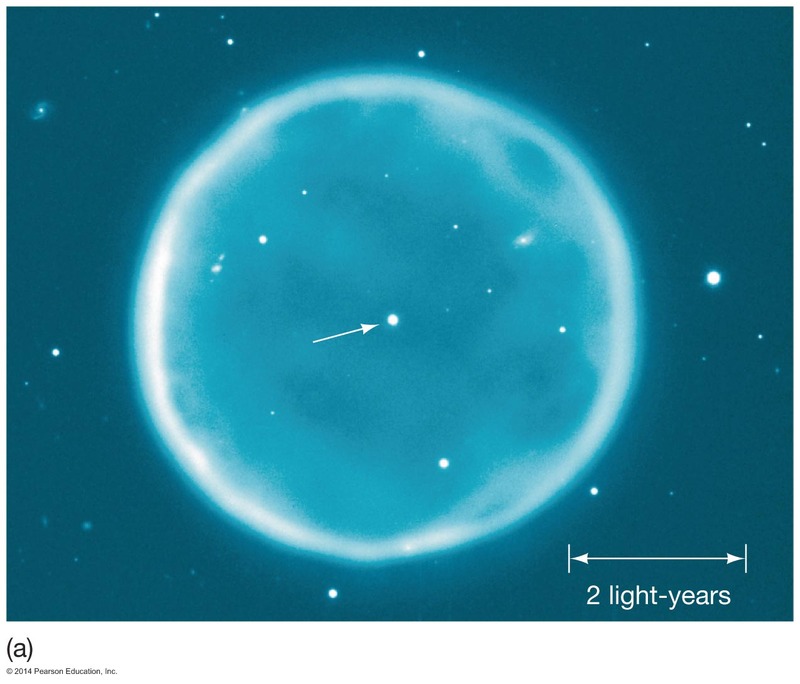 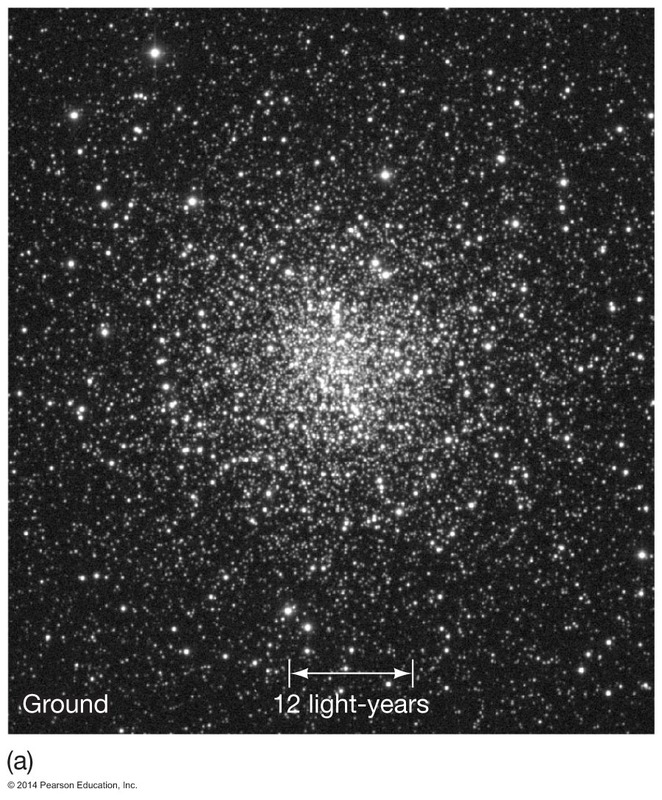 After 75,000 years the star becomes a white dwarf cooling to black dwarf. 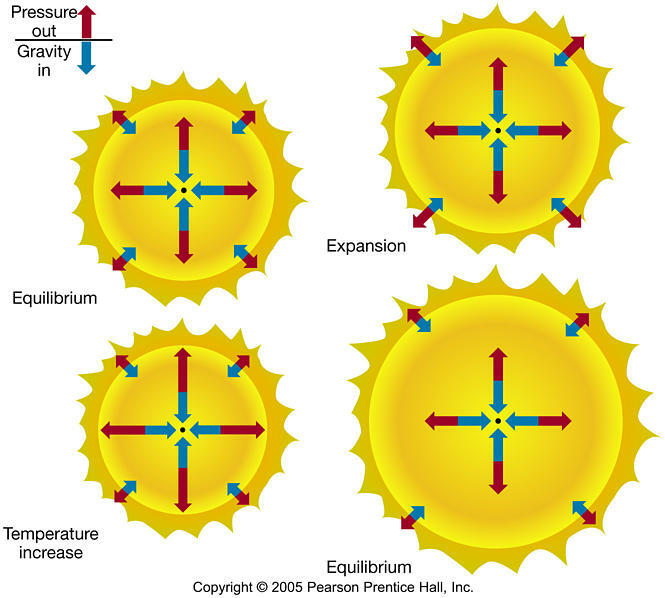 If the mass is greater than 1.4 x M SUN, the electron pressure degeneracy cannot support the weight. 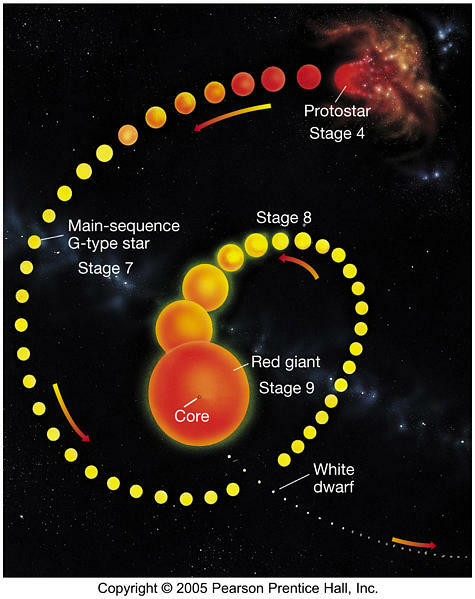 After a low-mass star burns its core into carbon and oxygen, heat generation stops and the core collapses again. 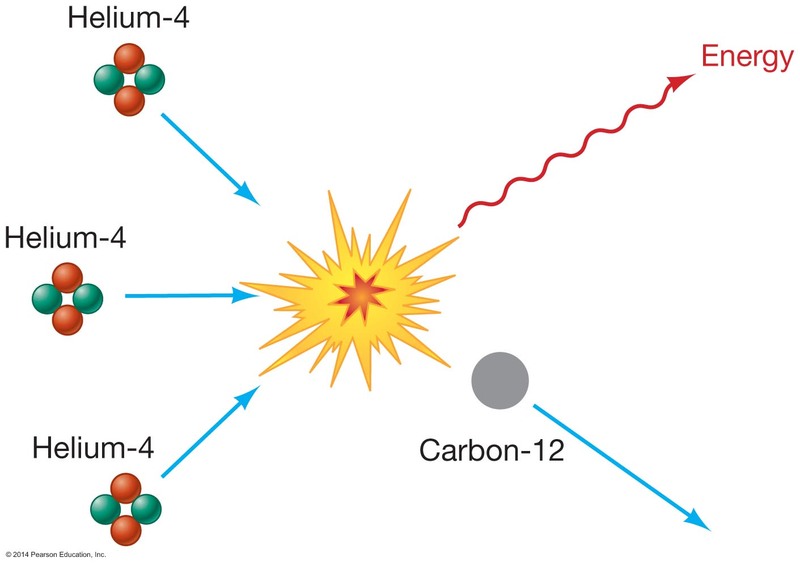 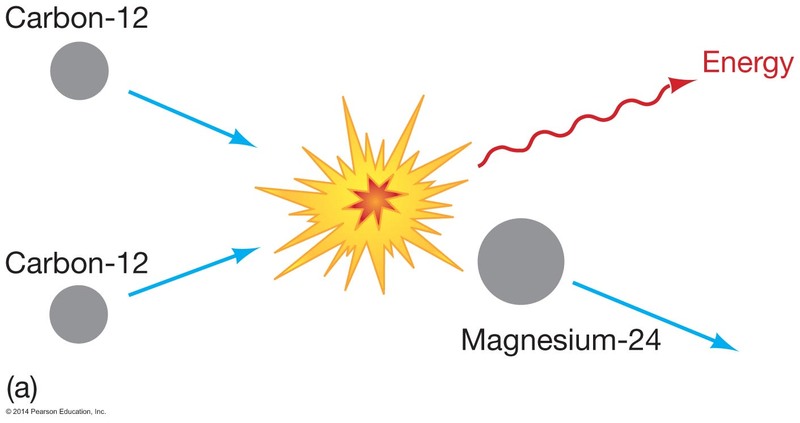 The core will heat further as gravitational energy is released, but the collapse stops before the core is hot enough to burn carbon and oxygen because of the Pauli Exclusion Principle and Electron Degeneracy. 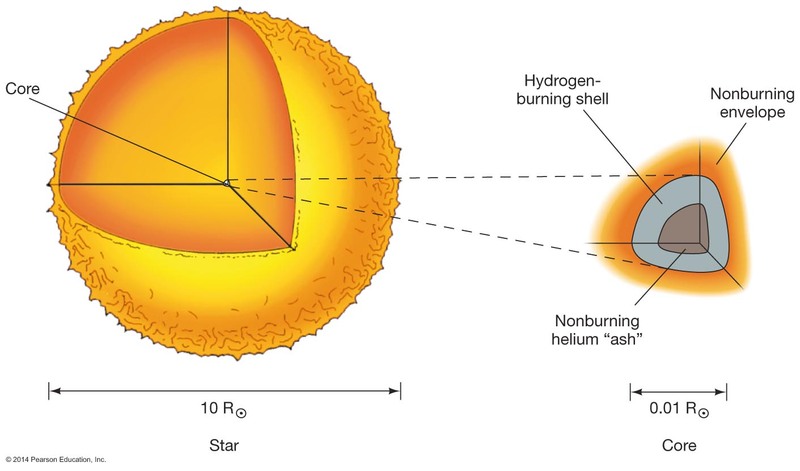 The density in the core will not collapse further and supports gravitational weight of star. 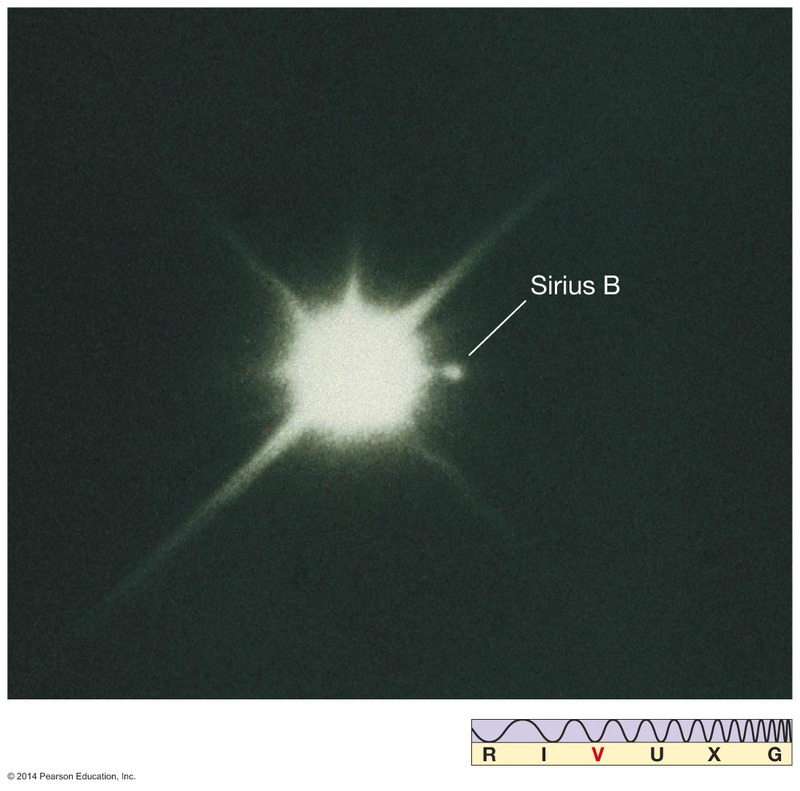 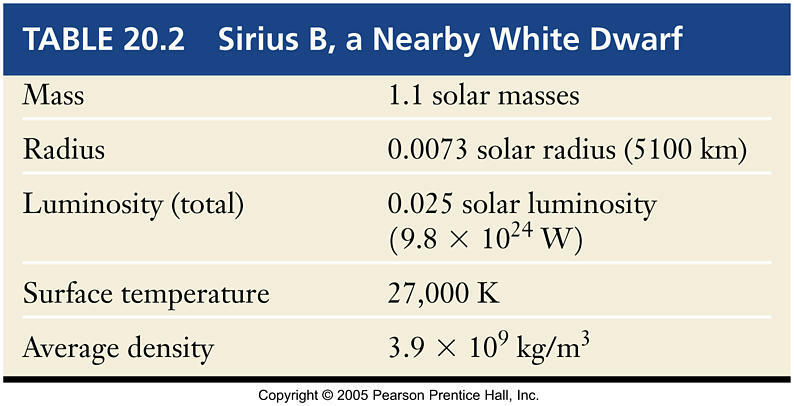 Sirius A is the brightest star in the sky. 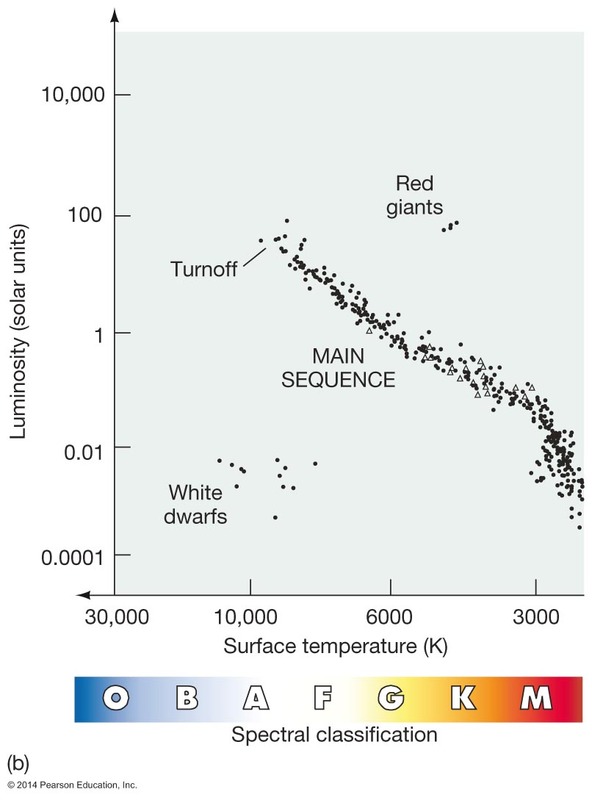 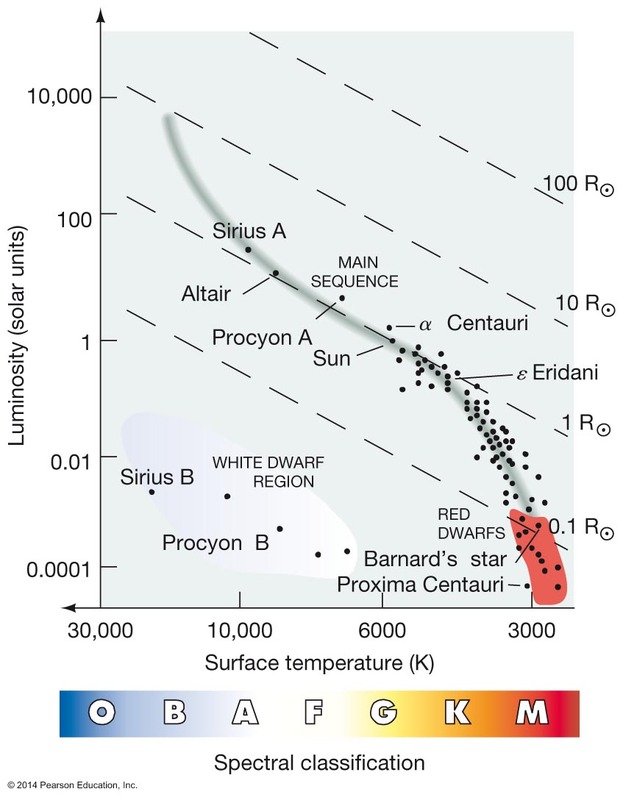 Why didn't these more massive stars evolve to white dwarfs long ago? 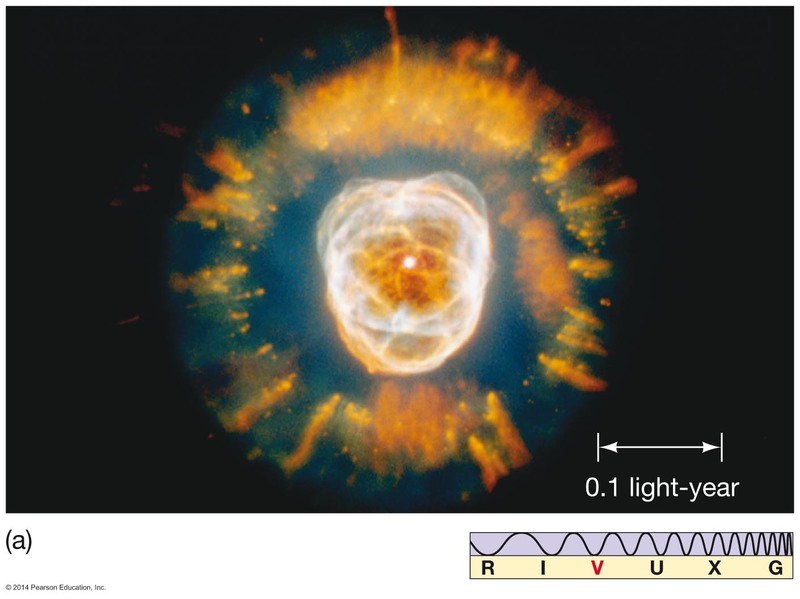 Old stars are "metal poor"
Young stars are "metal rich"
When they die in an explosion they create metals and spread them into the interstellar medium. 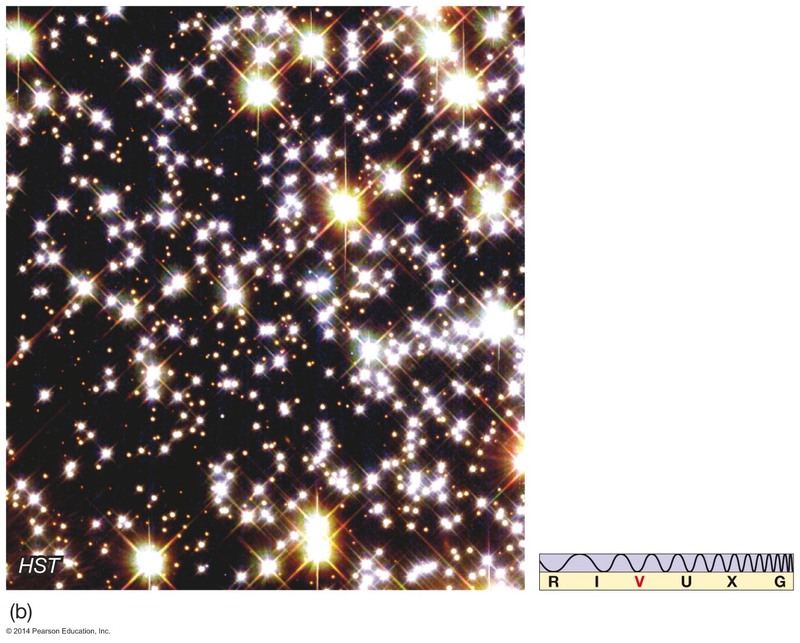 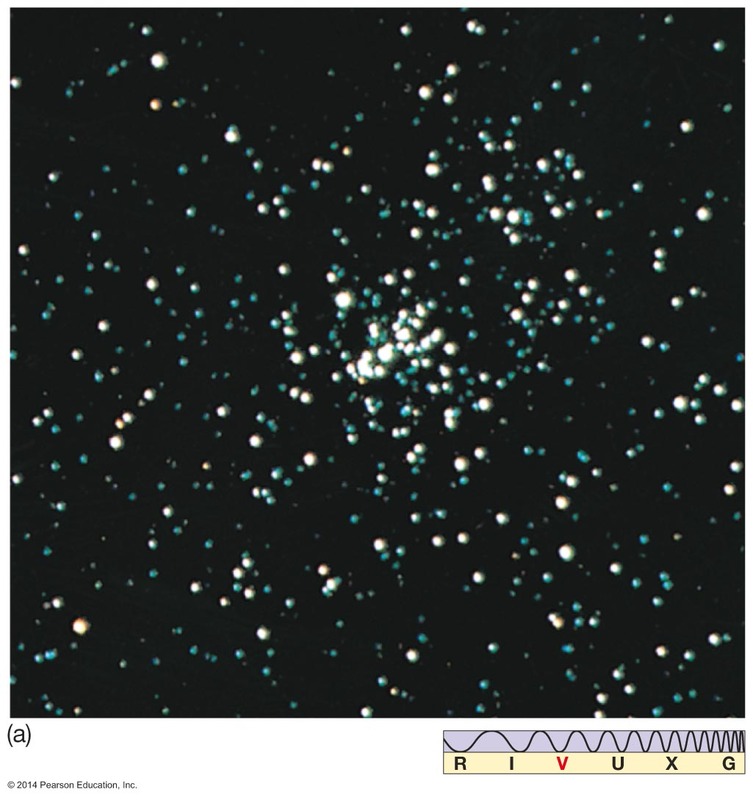 Critical Surface - figure eight-shaped boundary around star defining gravity domain. 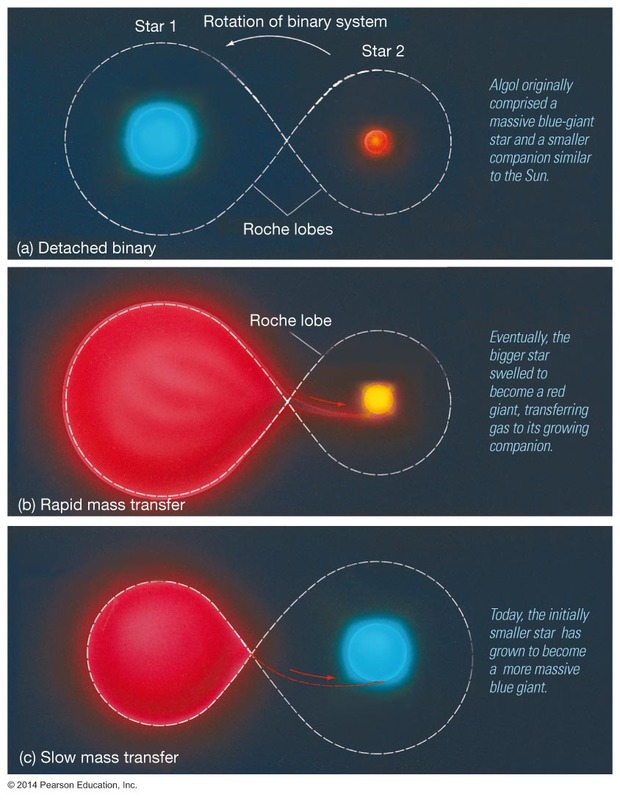 As most massive Star grows old, it may first expand to become a Red Giant . 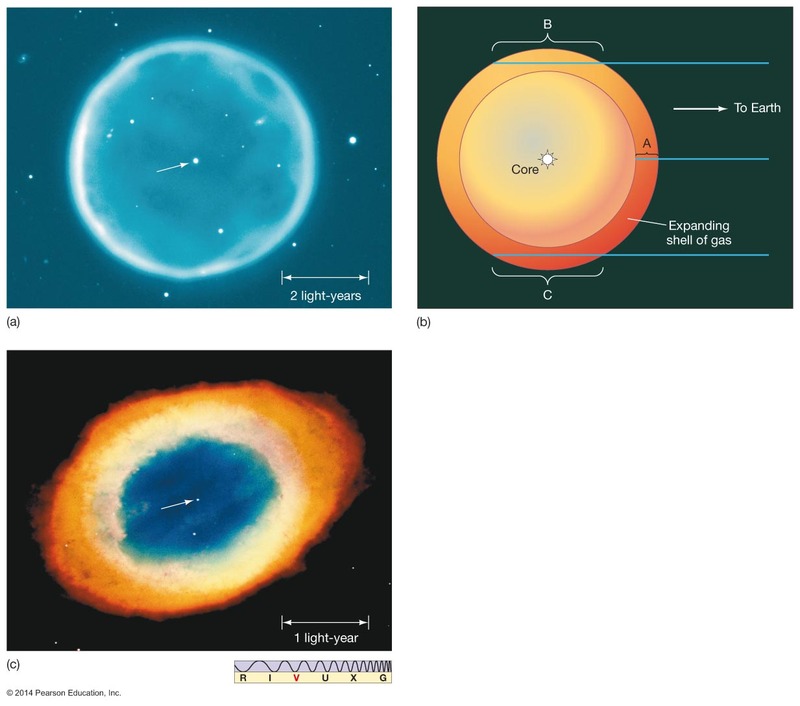 These lecture notes were developed for Astronomy 122 by Professor James Brau, who holds the copyright. 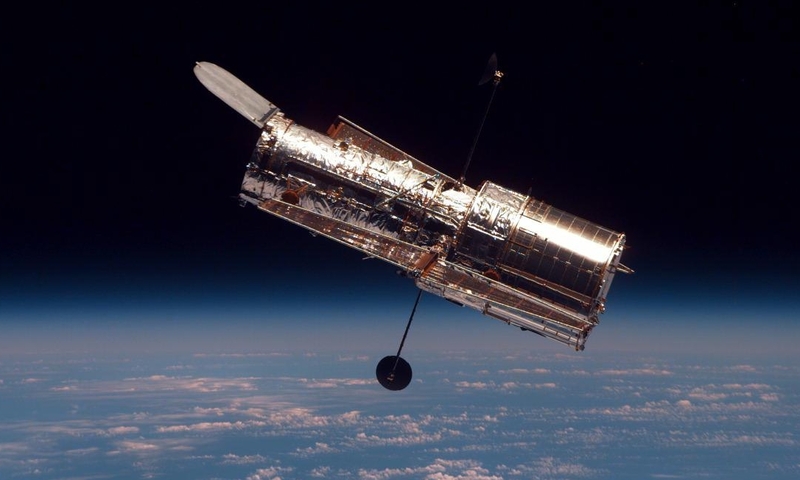 They are made available for personal use by students of the course and may not be distributed or reproduced for commercial purposes without my express written consent.